iClone's lighting architecture is centered on flexibility where the laws of physics can be broken with artistic license. Therefore, it uses a special treatment of real-time lighting and shadow that allows it to cast shadows using a caster without the light source and the ability to turn on or off a shadow of a specific light. Iray is a raytracer system with true physically based rendering, which stipulates that lights, emissive mesh, and even IBL will cast shadows. In other words, shadows always accompany light sources - to disable shadows would be to disable the light source as well. Unlike iClone, Iray can not soften the edges of the cast shadows directly. In order to attain softer shadow edges, one must increase the physical size of the light object. 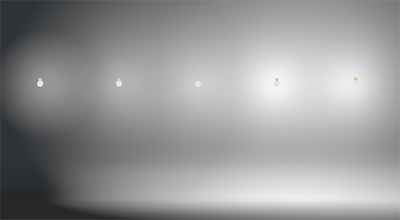 And since directional lights simulate the sun's rays at a long distance, it can not by physical limitations produce soft shadows. Smaller light sizes yield sharper shadows in Iray. Conversely larger light sizes yield softer cast shadows. 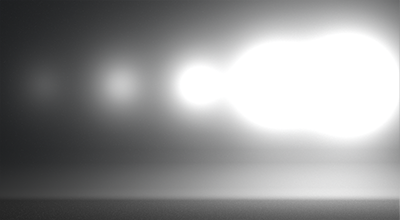 Falloff for spot and point lights are calculated differently between iClone and Iray. 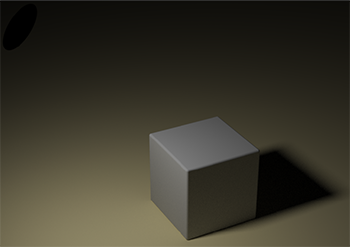 Iray uses inverse square while iClone uses exponential equation, therefore lights in iClone may seem to transition more smoothly from low to high intensity, while lights in Iray has a tendency to disperse or blow out rapidly when adjusting the brightness strength. iClone's exponential equation gives off a smoother falloff as the lights grow in intensity from left to right. Iray's inverse square equation gives off a more exponentiated result as the lights grow in intensity from left to right. Article has been viewed 261 times.